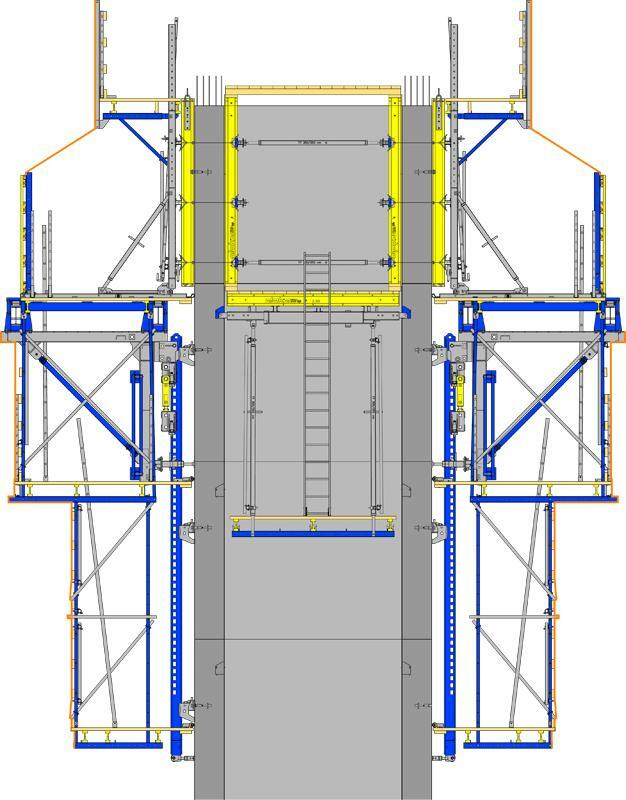 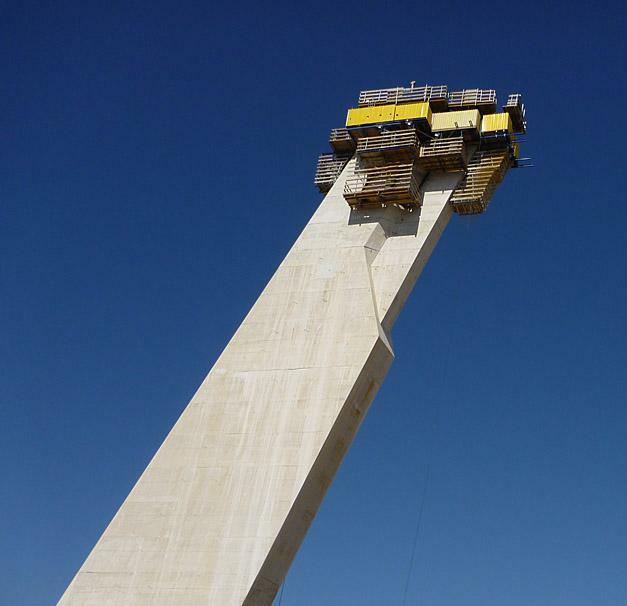 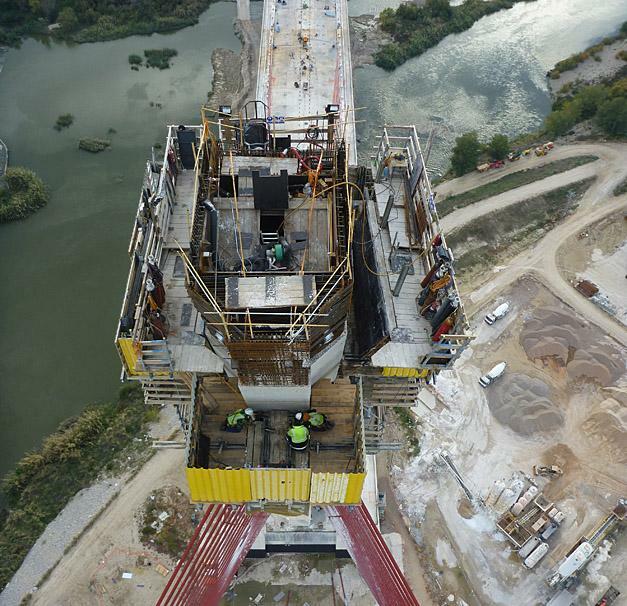 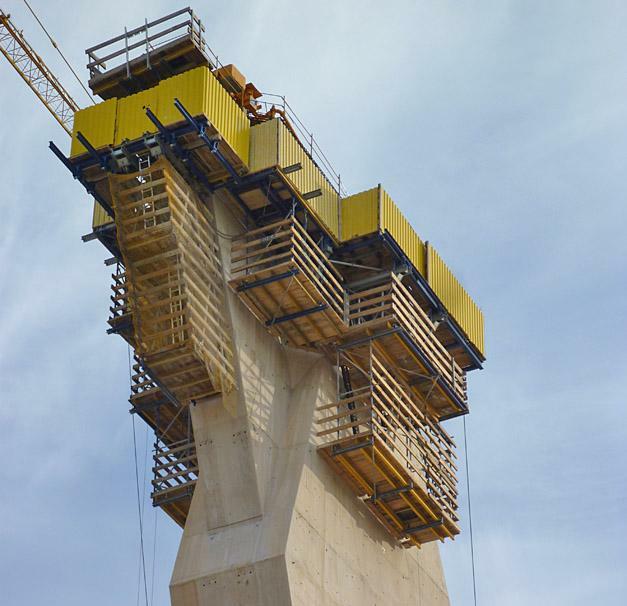 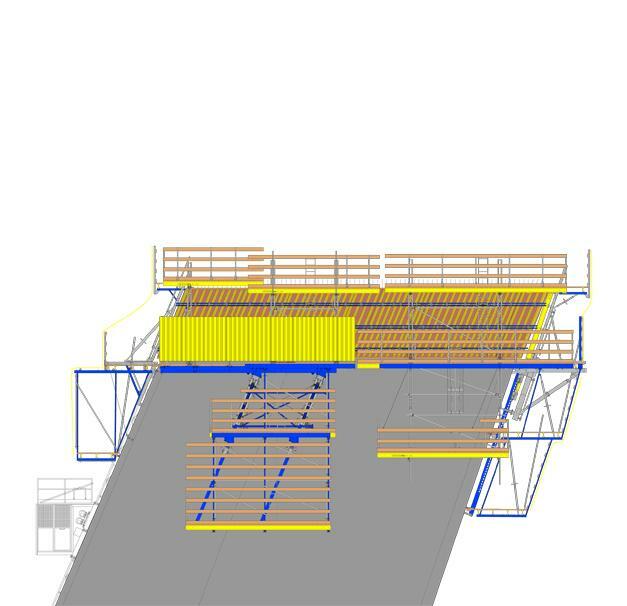 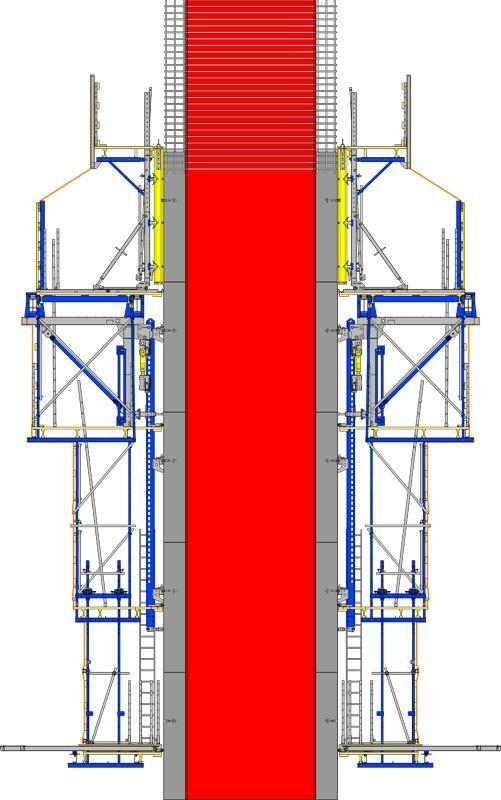 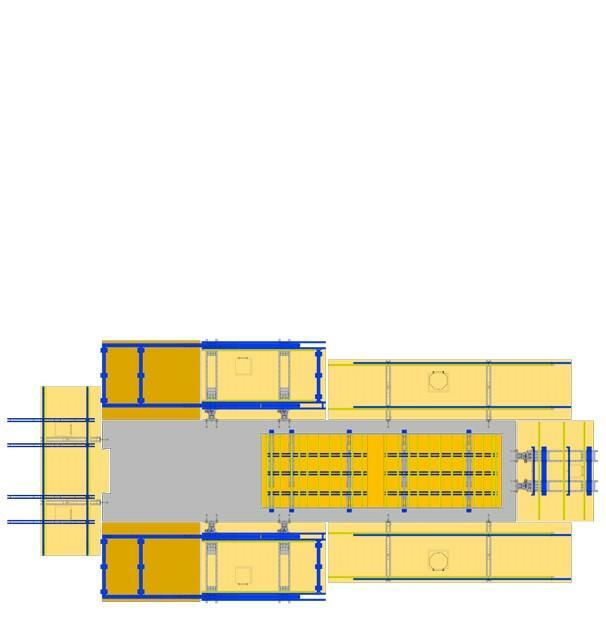 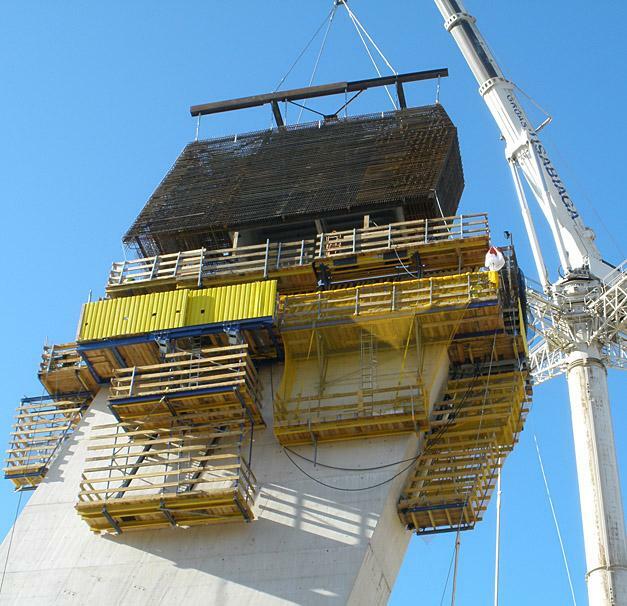 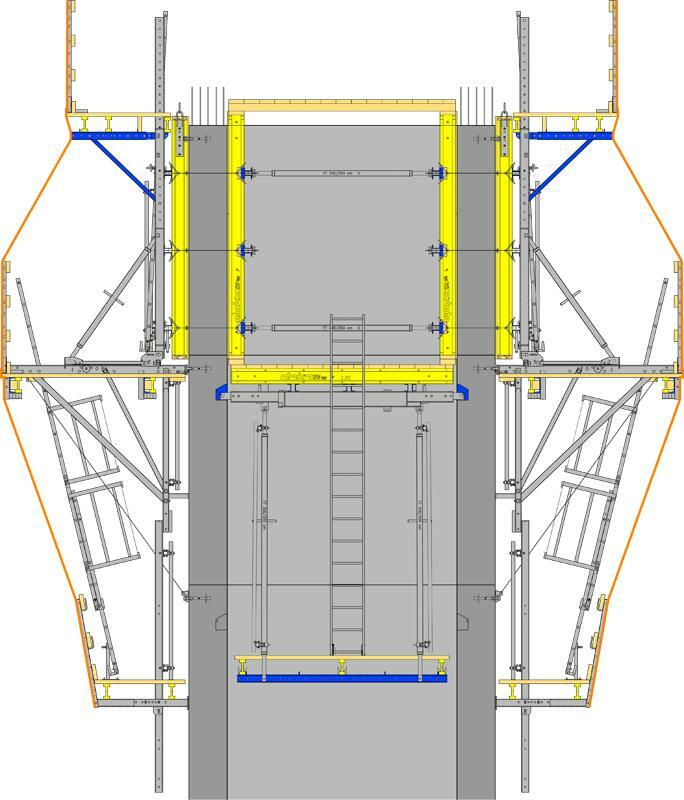 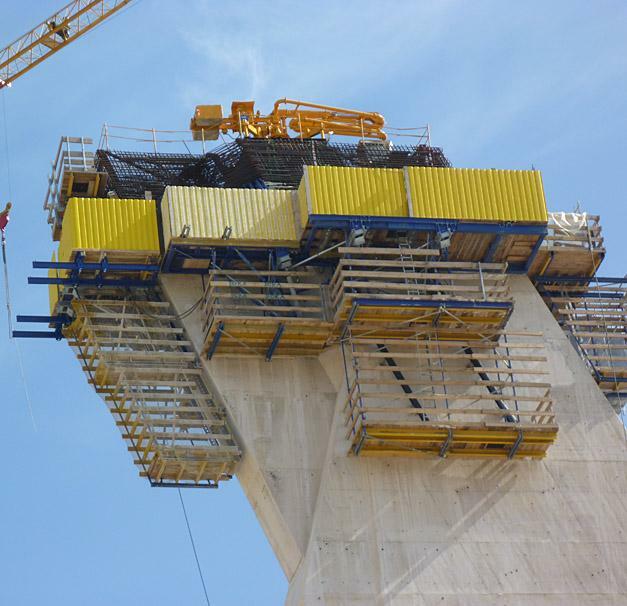 The 180 m tall, 68°-angled single pylon of the cable-stayed bridge across the River Tagus Spain was constructed using the versatile Doka automatic climbers SKE100 and Doka large-area formwork Top 50. 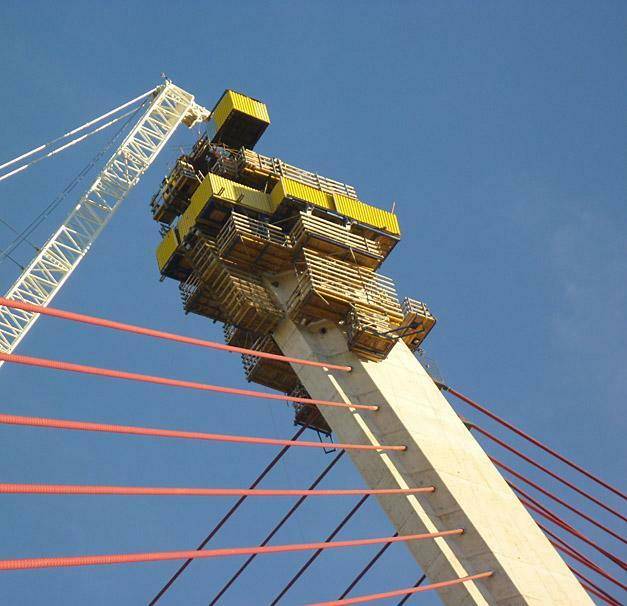 Thank you for your interest - Cable-stayed bridge over River Tagus. 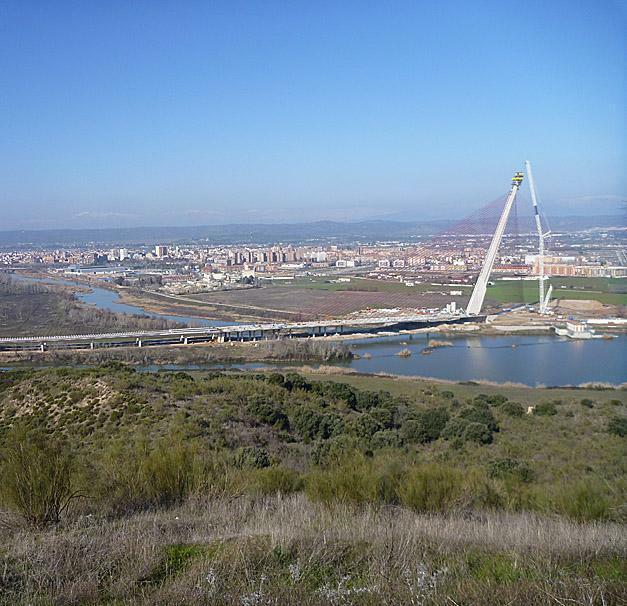 Thank you very much for your interest - Cable-stayed bridge over River Tagus.